On the 2nd July I took part in the 2017 regatta. All my family was there to support me and my friends. A regatta is where loads of scout groups come together and have a race to see who will win the huge trophy. My first race was my gouble diunghy boat reace, we were so happy the we won it bu we had to get through semi-finals and finals. My next race was the gig that was special because I had my big brother George there to support me the whole way through. we were cheering as we won the race. The next race was my friends and they won their under 14 race. My next race was the double dinghy semi finals and we were so excited because this was so close to the finals, and we won! We won our next race which was the gig and we were so happy. The next race was the doubly dinghy and we were so close byu unfortunately couldnt make iut and the other team congratualted. 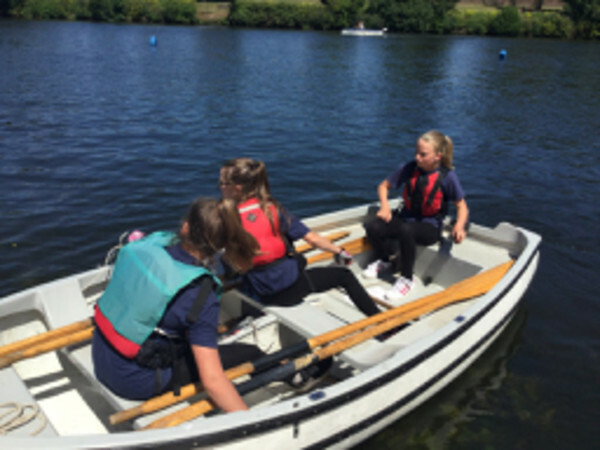 I came back strong and went to my gig race with all my friends and we managed to push all the way there and as we heard the bell go, all our parents screamed with happiness. We all felt famous. All fo the races were finished and we walked up to collect our trophy when our under 12 gig was called up, they told me to hold it. It was the first rophy that I have ever got. Then the leader said "the winners of the 2017 regatta is....Warspite". We all clapped in happiness. When all the trophies had been handed out everyone got up and my brother George gave me a big hug and congratulated me!